Marsh, James H.. "Acadian Expulsion (the Great Upheaval)". The Canadian Encyclopedia, 25 January 2019, Historica Canada. 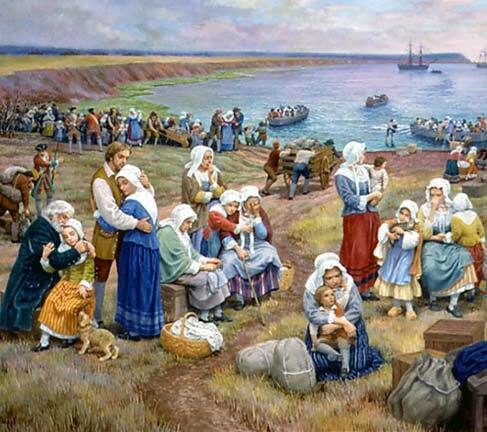 https://www.thecanadianencyclopedia.ca/en/article/the-deportation-of-the-acadians-feature. Accessed 22 April 2019. Soldiers rounding up terrified civilians, expelling them from their land, burning their homes and crops ‒ it sounds like a 20th century nightmare in one of the world's trouble spots, but it describes a scene from Canada's early history, the Deportation of the Acadians. Acadians wait their turn to board the ships that will take them away from their homes. (Painting by Claude Picard. Courtesy Parks Canada/0308010004). 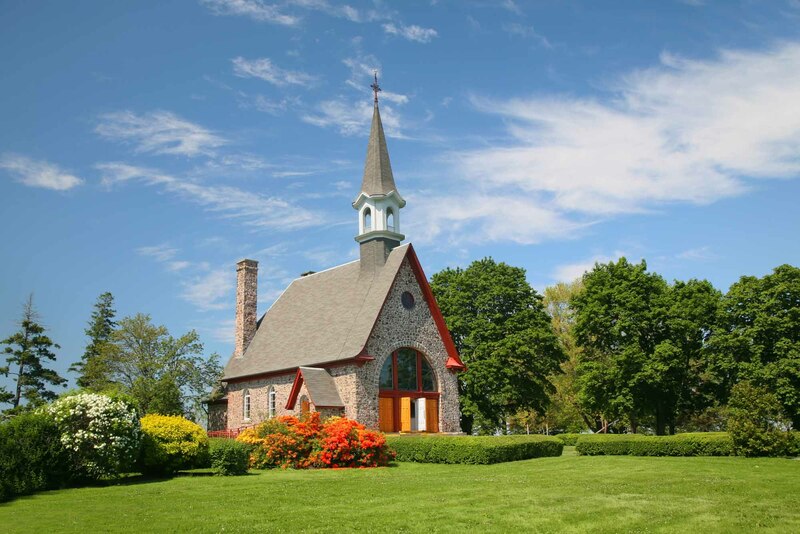 The Acadians had lived on Nova Scotia’s territory since the founding of Port-Royal in 1604. They established a small, vibrant colony around the Bay of Fundy, building dykes to tame the high tides and to irrigate the rich fields of hay. Largely ignored by France, the Acadians grew independent minded. With their friends and allies the Mi' kmaq, they felt secure, even when sovereignty over their land passed to Britain after 1713 (see Treaty of Utrecht). In 1730 the British authorities persuaded the Acadians to swear, if not allegiance, at least neutrality in any conflict between Britain and France. But over the years the position of the Acadians in Nova Scotia became more and more precarious. France raised the stakes by building the great fortress of Louisbourg on Cape Breton Island. In 1749 the English countered this threat by establishing a naval base at Halifax. In 1751 the French built Fort Beauséjour on the Isthmus of Chignecto and the English responded with Fort Lawrence, a stone's throw away. While previous British governors had been conciliatory towards the Acadians, Governor Charles Lawrence was prepared to take drastic action. He saw the Acadian question as a strictly military matter. After Fort Beauséjour fell to the English forces in June 1755, Lawrence noted that there were some 270 Acadian militia among the fort's inhabitants ‒ so much for their professed neutrality. In meetings with Acadians in July 1755 in Halifax, Lawrence pressed the delegates to take an unqualified oath of allegiance to Britain. When they refused, he imprisoned them and gave the fateful order for deportation. Lawrence had strong support in his Council from recent immigrants from New England, who coveted Acadian lands. Traders from Boston frequently expressed wonder that an "alien" people were allowed to possess such fine lands in a British colony. 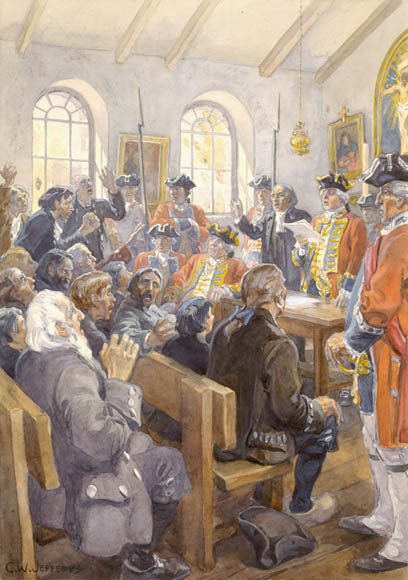 On Friday, September 5, 1755 Colonel John Winslow ordered that all males aged 10 years and up in the area were to gather in the Grand-Pré Church for an important message from His Excellency, Charles Lawrence, the Lieutenant-Governor of Nova Scotia. The decree that was read to the assembled and stated in part: "That your Land & Tennements, Cattle of all Kinds and Livestocks of all Sorts are forfeited to the Crown with all other your effects Savings your money and Household Goods, and you yourselves to be removed from this Province." It was a New Englander, Charles Morris, who devised the plan to surround the Acadian churches on a Sunday morning, capture as many men as possible, breach the dykes and burn the houses and crops. When the men refused to go, the soldiers threatened their families with bayonets. They went reluctantly, praying, singing and crying. By the fall of 1755 some 1,100 Acadians were aboard transports for South Carolina, Georgia and Pennsylvania. Lawrence urged his officers not to pay the least attention "to any remonstrance or Memorial from any of the inhabitants." When Colonel John Winslow read the deportation order, he admitted that although it was his duty, it was "very disagreeable to my nature, make and temper." In a phrase that would not be out of place in many more recent atrocities he added "But it is not my business to animadvert, but to obey such orders as I receive." Some Acadians resisted, notably Joseph Beausoleil Brossard, who launched a number of retaliatory raids against the British troops. Many escaped to the forests, where the British continued to hunt them down for the next five years. 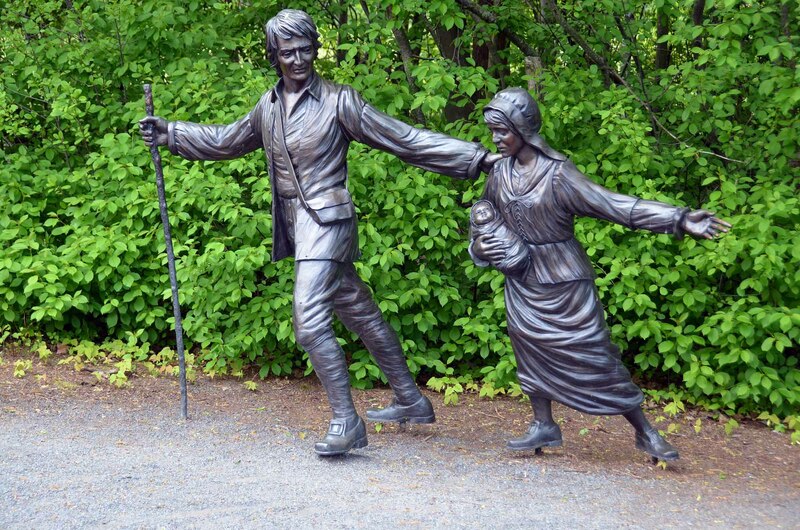 A group of 1,500 fled for New France, others to Cape Breton and the upper reaches of the Peticoudiac River. 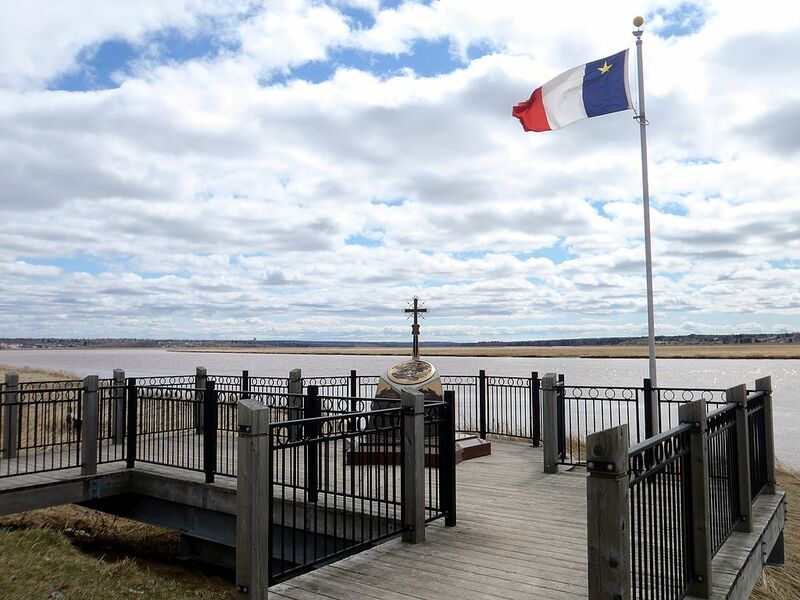 Of some 3,100 Acadians deported after the fall of Louisbourg in 1758, an estimated 1,649 died by drowning or disease, a fatality rate of 53 per cent. Between 1755 and 1763, approximately 10,000 Acadians were deported. They were shipped to many points around the Atlantic. Large numbers were landed in the English colonies, others in France or the Caribbean. Thousands died of disease or starvation in the squalid conditions on board ship. To make matters worse, the inhabitants of the English colonies, who had not been informed of the imminent arrival of disease-ridden refugees, were furious. Many Acadians were forced, like the legendary Evangeline of Longfellow's poem, to wander interminably in search of loved ones or a home. 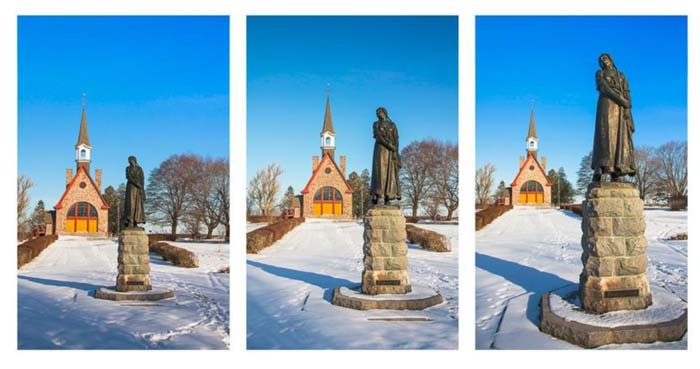 Statue at Grand Pré, Nova Scotia (Corel Professional Photos). Although the Acadians were not actually shipped to Louisiana by the British, many were attracted to the area by the familiarity of the language and remained to develop the culture now known as "Cajun." Back in Nova Scotia, the vacated Acadian lands were soon occupied by settlers from New England. When the Acadians were finally allowed to return after 1764, they settled far from their old homes, in St Mary's Bay, Chéticamp, Cape Breton, Prince Edward Island and the north and east of present-day New Brunswick. The expulsion proved to have been as unnecessary on military grounds as it was later judged inhumane. Lawrence's lack of imagination played as big a part as greed, confusion, misunderstanding, and fear. 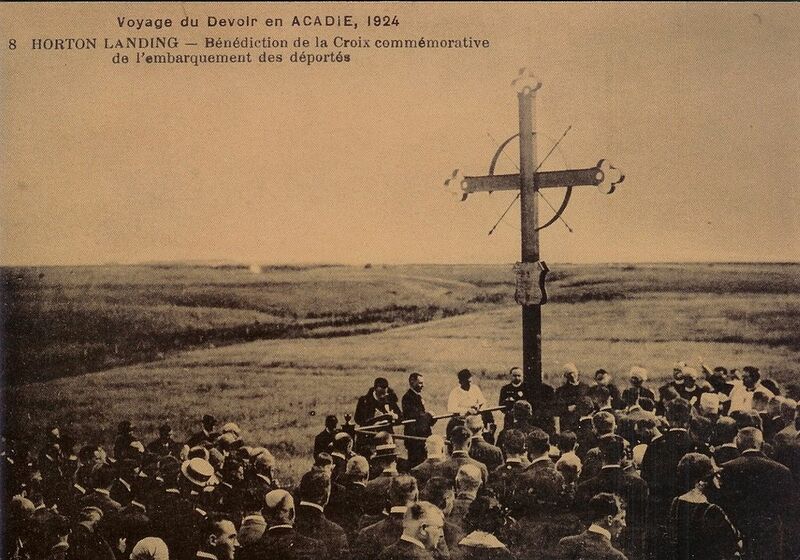 The Deportation cross in Hortonville, Grand-Pré, Nova Scotia, 1924. The migrations of the Acadians to a new Acadia continued into the 1820s. Throughout the ordeal they maintained their sense of identity, as indeed they do today ‒ a remarkable demonstration of human will in the face of cruelty. Bona Arsenault et Pascal Alain, Histoire des Acadiens (2004); Jean Daigle, dir., L'Acadie des Maritimes. Études thématiques, des débuts à nos jours (1993); Brenda Dunn, A History of Port-Royal/Annapolis Royal, 1605-1800 (2004); John Mack Faragher, A Great and Noble Scheme. 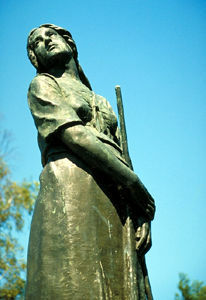 The Tragic Story of the Expulsion of the French Acadians from their American Homeland (2006); Sylvain Godin et Maurice Basque, Histoire des Acadiens et des Acadiennes du Nouveau-Brunswick (2007); E. Griffiths, From Migrant to Acadian (2005); Pierre-Maurice Hébert, Les Acadiens du Québec (1994); Christopher Hodson, The Acadian Diaspora: An Eighteenth-Century History (2012); Dean Jobb, The Acadians. A People’s Story of Exile and Triumph (2005); Nicolas Landry et Nicole Lang, Histoire de l’Acadie (2001); Ronnie-Gilles LeBlanc, dir., Du Grand dérangement à la Déportation : nouvelles perspectives historiques (2005); André Magord, dir., L'Acadie plurielle. Dynamiques identitaires collectives et développement au sein des réalités acadiennes. (2003); Robert Sauvageau, Acadie : la guerre de Cent ans des Français d’Amérique aux Maritimes et en Louisiane, 1670-1769 (1987); Yvon J. Thériault, dir., Francophonies minoritaires au Canada : l'état des lieux (1999). Bona Arsenault and Pascal Alain, Histoire des Acadiens (2004); Brenda Dunn, A History of Port-Royal/Annapolis Royal, 1605-1800 (2004); John Mack Faragher, A Great and Noble Scheme. The Tragic Story of the Expulsion of the French Acadians from their American Homeland (2006); E. Griffiths, From Migrant to Acadian (2005); Dean Jobb, The Acadians. A People’s Story of Exile and Triumph (2005); Christopher Hodson, The Acadian Diaspora: An Eighteenth-Century History (2012); Nicolas Landry et Nicole Lang, Histoire de l’Acadie (2001); Ronnie-Gilles LeBlanc, ed., Du Grand dérangement à la Déportation: nouvelles perspectives historiques (2005).